A circuit in the Electronics Lab | Chalti ka naam Zindagi !!! This entry was posted on May 24, 2012 by Abhinav Jain. 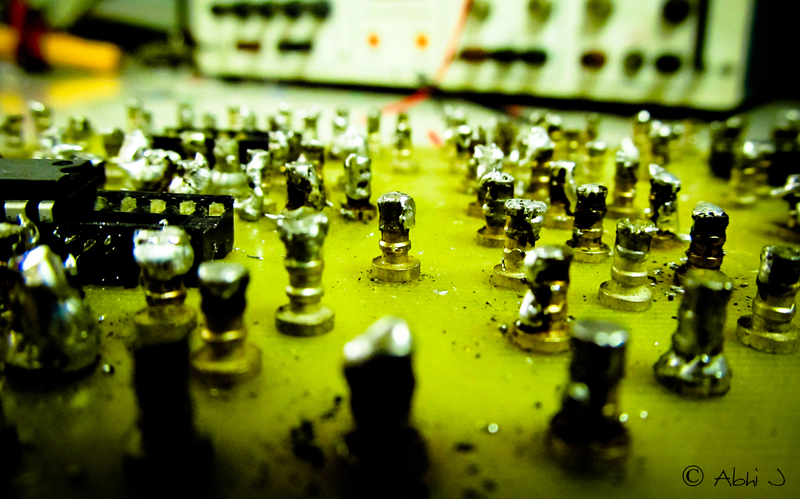 It was filed under Clicks and was tagged with Abhinav Jain, CEDT, DESE, Electronics Lab Circuit, IISc Bangalore.